Australia’s Most Forgotten Retirement Asset? Have you ever thought about how much money you need for retirement? According to an article by News.com.au, the MLC Quarterly Australian Behaviour report/survey suggests that you need about $818,000 in savings and investments to retire. Why Are Buyers And Homeowners Taking The Redevelopment Route? In an article for the website Domain, Sue Williams points at a new kind of housing adventure going on in Australia. Investors and buyers are buying old homes and redeveloping them in accordance with their contemporary lifestyle. Even existing homeowners are redeveloping vacant strips of land they own (lying next to their own home) and turning them into mirror images of their current home in terms of modernity. Having a swimming pool in your own backyard sounds like a lot of fun. But you need to ask yourself: is it really a good investment? Our roofs are fairly sturdy, but because they have to withstand the ravages of weather much more than the inner territory of the house, they are prone to wear and tear. The good new is It is not difficult to read the signs. It may start with something as trivial as a block of asphalt shingle in your curb area. There are tell-tale signs of roof damage. 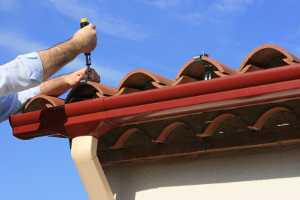 Within the ambit of this article, let us take up a few warning signs for roof inspection. The mindset of UK citizens may just be indicative of the goings-on in other developed countries. This year, a majority of people are willing to stay in their old homes and would rather renovate homes than move to a different house. Undertaking renovation successfully can bring a lot of happiness to the homeowners. With renovations, there is always the fear of overcapitalising. At the same time, however, renovation that sticks to its budget can allow you handsome profits at the time you resell your property. All this said, there is a school of argument which believes that some renovations are always better than others. If it helps your curiosity, I belong to that school.